The 1906 earthquake leveled most of San Francisco and its old glamour. But the city persisted, rebuilt and now looks to the future. We thought it would be neat to look at some nearby places and see what they looked like during or after the great earthquake and compare it to how the city looks now. 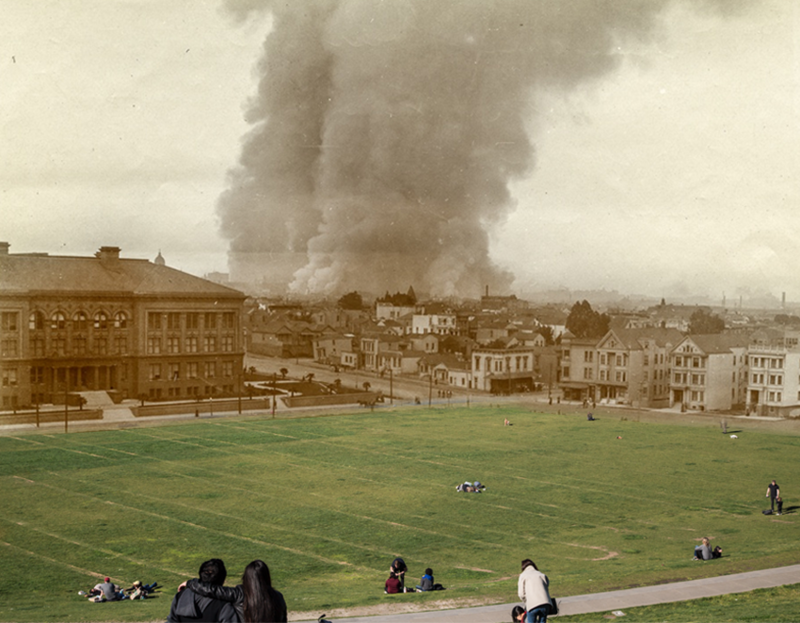 All of the archive imagery was provided by OpenSFHistory.org. The locations are approximate, however, some streets might have shifted or landmarks disappeared. Special thanks to OpenSFHistory.org. for the original photos!